The facelift of the Ford EcoSport is to come with a modified design and an improved feature list. Ford India is soon going to launch the much awaited 2017 Ford EcoSport facelift in India. 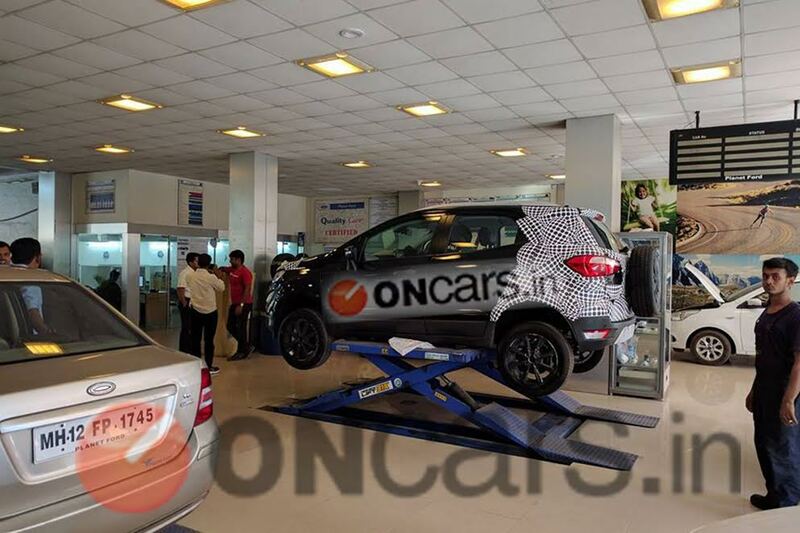 Now ahead of its official launch, the same has been spotted exclusively and for the first time in India. The new model of Fords compact SUV is to feature multiple design changes, both on the outside, as well as on the inside. The grille is to remain the same as before and so is to be the side profile of this compact SUV. Coming to the rear-profile, the 2017 Ford EcoSport, will features slightly restyled front bumper with the rest of the specifics remaining the same as before. Talking about the engine specifications, it is likely that the new facelift model of the EcoSport is to come with the same powertrain line-up. The petrol derivative will get a new 1.5-litre engine churning out 110bhp along with 140Nm of peak torque while the diesel motor is to be a 1.5-litre TDCi unit producing 99Bhp along with 205Nm of peak torque. The transmission responsibilities are to be handled by a 5-speed manual transmission. Talking about prices, it is expected that the 2017 Ford EcoSport facelift will fall in the bracket of INR 6 to 9 lakh (ex-showroom, Delhi).